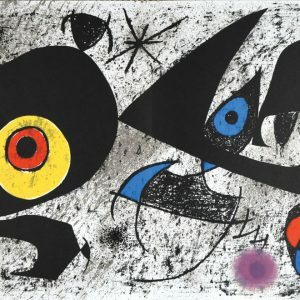 Joan Miro (1893 – 1983) was a Catalan Spanish painter, sculptor and ceramicist born in Barcelona. 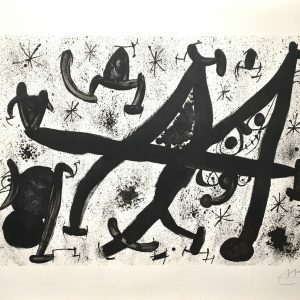 Earning international acclaim, his work has been interpreted as surrealism, a sandbox for the subconscious mind, a re-creation of the childlike, and a manifestation of Catalan pride. 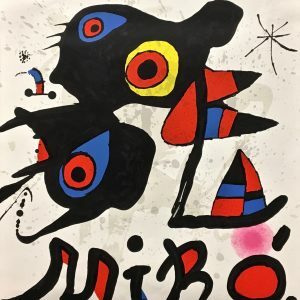 Miro always expressed a contempt for conventional painting methods as a way of supporting bourgeois society and famously declared an ‘assassination of painting’ in favor of upsetting the visual elements of established painting. This playful lithograph, ‘L’Toile Bleu’, was published in 1972 by the foremost fine art printmaker of the 20th century, Fernand Mourlot. 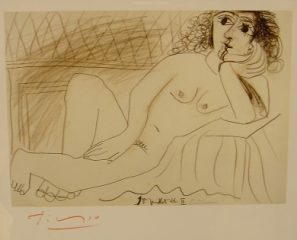 Founded by his Grandfather, Francois, The Mourlot Atelier (printing studio) became the home of artists such as Matisse, Leger, Bonnard and Picasso. 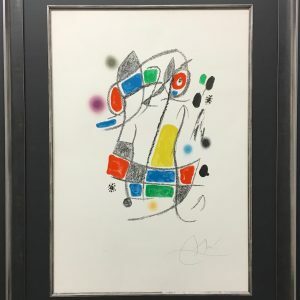 Mourlot was the leading printmaker of the times and the quality of the studio’s work is evidenced by the clean simplicity of this wonderfully colored stone lithograph. 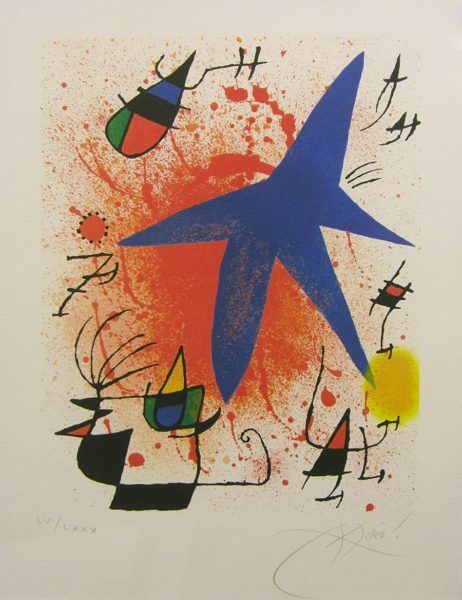 This work is signed and numbered by Miro. This fine example is numbered in Roman Numerals: LVI/LXXX (56/80).